Arab League rejects Trump’s announcement on Israeli sovereignty over the Golan Heights, supports Syria. "The League of Arab States fully supports Syria's right for its occupied territory. 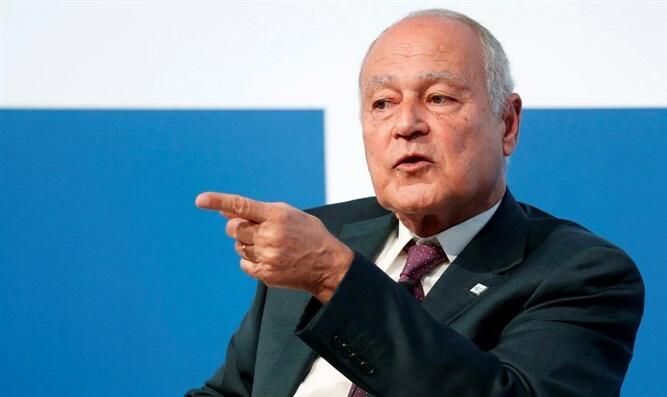 We have a specific position, based on resolutions, on this issue," Aboul Gheit said, according to the Sputnik news agency. The official insisted that the Golan Heights are “occupied territory” belonging to Syria under international law and the resolutions of the United Nations and the UN Security Council. In a joint press conference with US Secretary of State Mike Pompeo following the announcement, Prime Minister Binyamin Netanyahu called Trump's announcement a "Purim miracle."